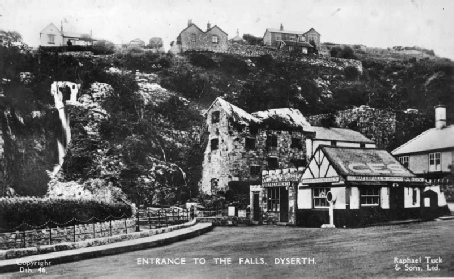 The Domesday Book mentions a mill in Dyserth in 1086 (possibly located at the waterfall), worth 3 shillings. And in 1303-4 there is a record of 64 shillings and 8 pence paid out for timber to repair “the said mill of Dissard which threatened ruin”. A lease for Dyserth Mill dated 20th October 1795 forbids “ the said Water Corn Grist Mill or any of the premises hereby demised to be converted for Methodists or any other Denomination of Sectaries”. 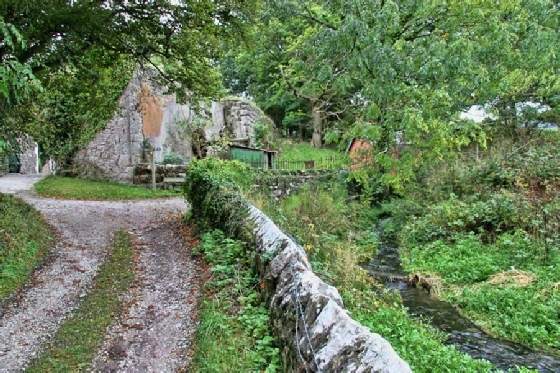 Another document records the right to “harvest watercrowses” from the stream, an early reference to the use of watercress as a foodstuff in North Wales. (Paragraph from Curious Clwyd - A second Photographic Album of Oddities from Northeast Wales by Gordon Emery). 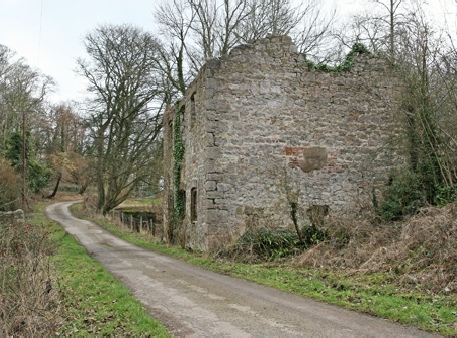 By the end of the 19th century there were apparently at least seven mills along the Afon Ffyddion within Dyserth parish, though not all were still in use. The majority of these were flour mills but two were fulling mills, where locally produced cloth was soaked in a mixture of water & fuller’s earth and pounded with wooden fulling hammers driven by a waterwheel. The cloth was then stretched out on tenter-frames (attached by tenter-hooks) and left to dry. Some of the mills are indicated on the map above. 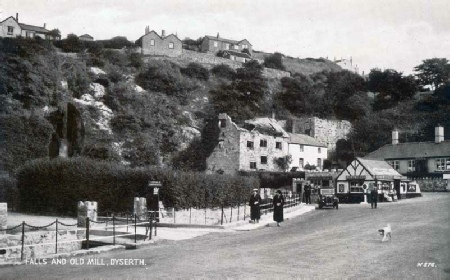 These four pictures show the gradual decline of Dyserth Mill - already a ruin in the first picture from a postcard posted in 1905. 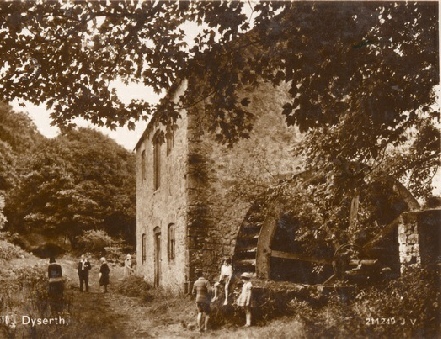 The mill building was finally demolished in 1952. 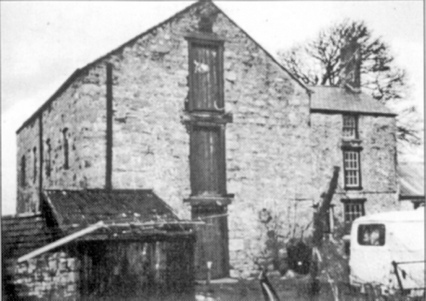 The mill house, to the right of the mill, was demolished in 1981. 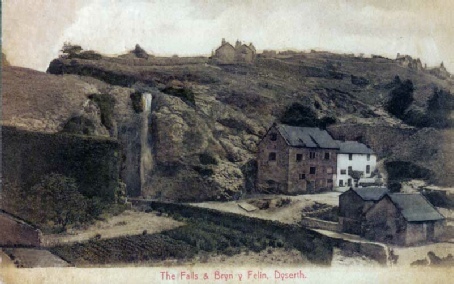 For larger pictures see the Lower Dyserth Waterfall & Mills section of the Old Photo Gallery. 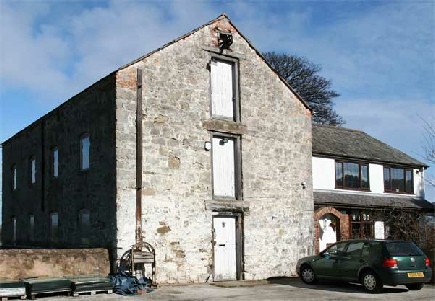 One fulling mill, called Pandy Mill, was situated behind what is now Grove Mill Cottage, near Marian Mills. 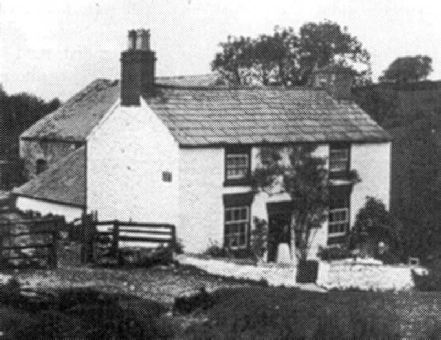 This cottage once displayed the date of 1794, though it is no longer visible. I believe this mill closed between 1840 & 1850. 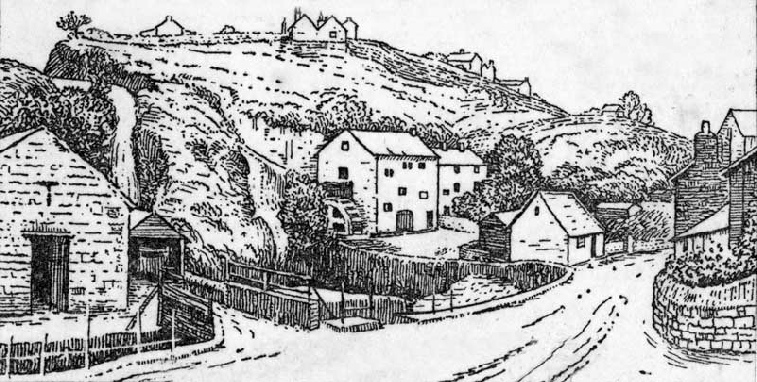 The map of 1878 indicates that this was a flour mill - but Pandy is the Welsh word for a fulling mill. 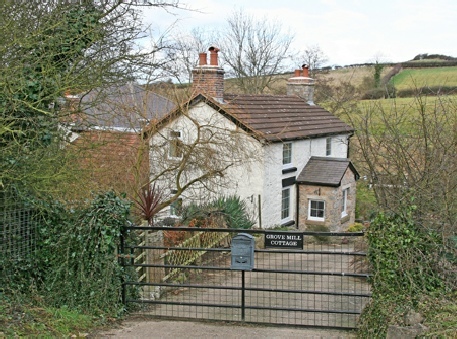 The cottage was apparently renamed Grove Mill Cottage when occupied by a later owner of Grove Mill - a newer mill (erected in 1815) further down the road towards Marian Mills. Grove Mill, for flour, closed in 1912, was re-opened in 1920 and finally closed five years later. Marian Mills, from a postcard posted in 1906. In the background is Felin Fawr. 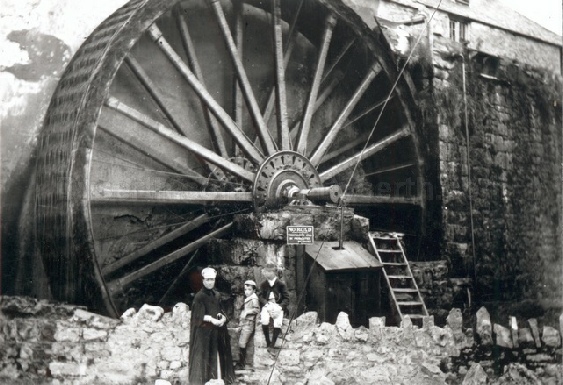 The remains of the hub of its huge wheel can still be seen today, below right. The wheel of Felin Fach can just be seen on the left. It was demolished in 1947. 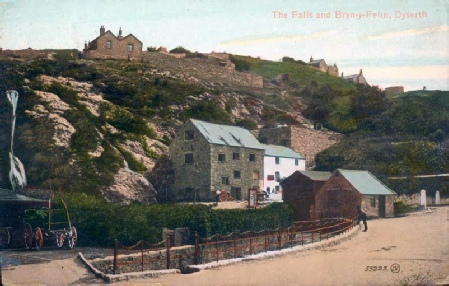 The Marian Mills area became quite a tourist attraction in the early 20th century. 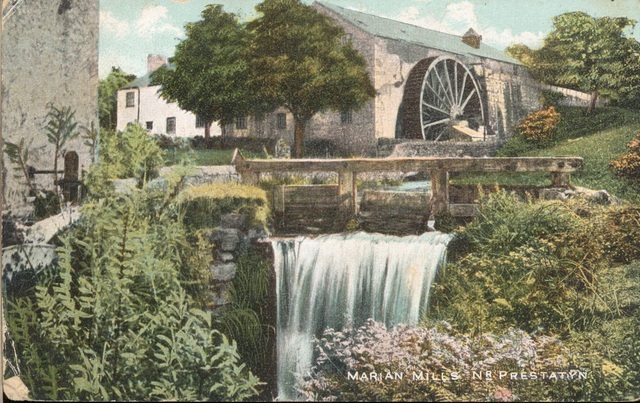 The great mill wheel of Felin Fawr, possibly about 1905. 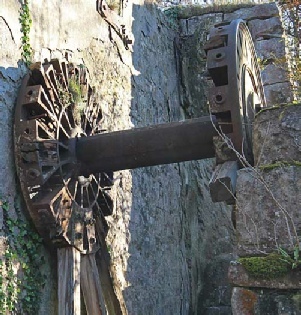 The spokes of the wheel were wooden and fitted into slots in the hub - which is all that remains of the wheel. To the left of centre, in line with the stone wall from the foreground, is the hub of the great wheel. On the right is Ffynnon Asa, just above where it joins the Afon Ffyddion on its way towards Dyserth Waterfall a few miles away. The Offa’s Dyke path follows this lane and off to the right, over the river.